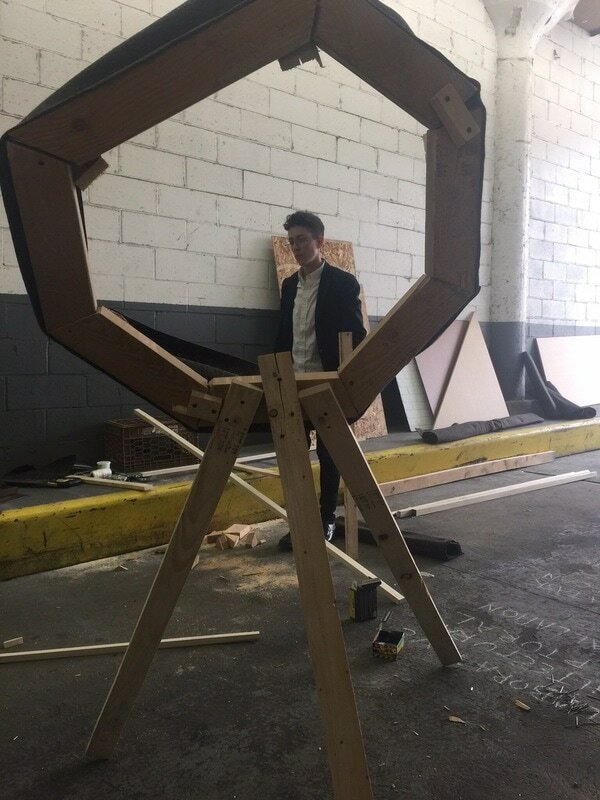 This is the first draft of an ongoing project. 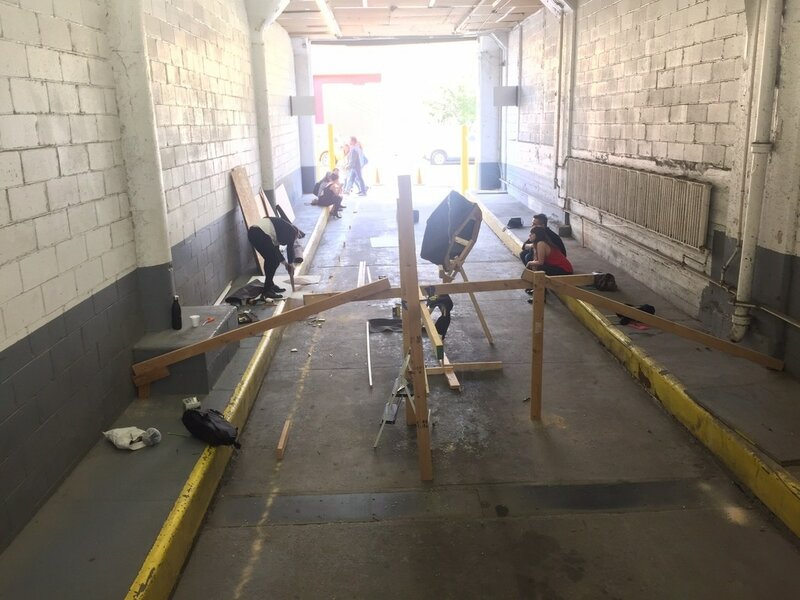 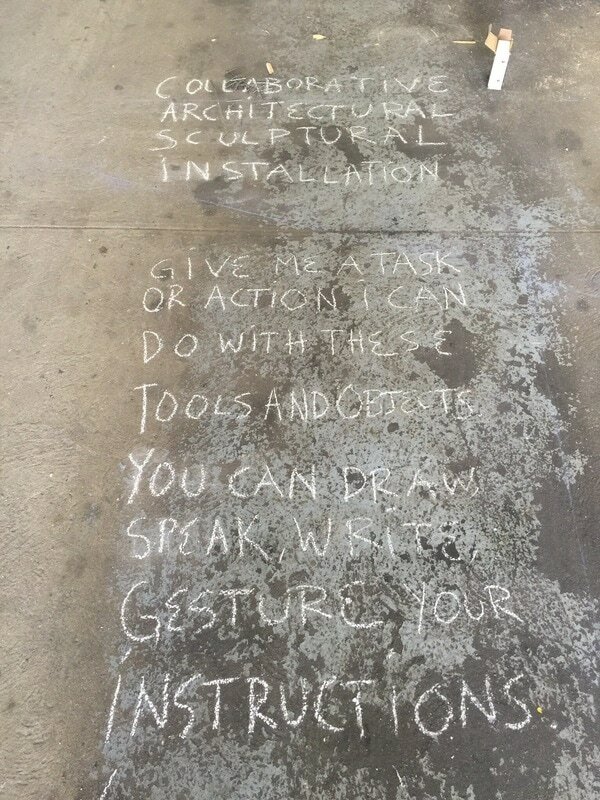 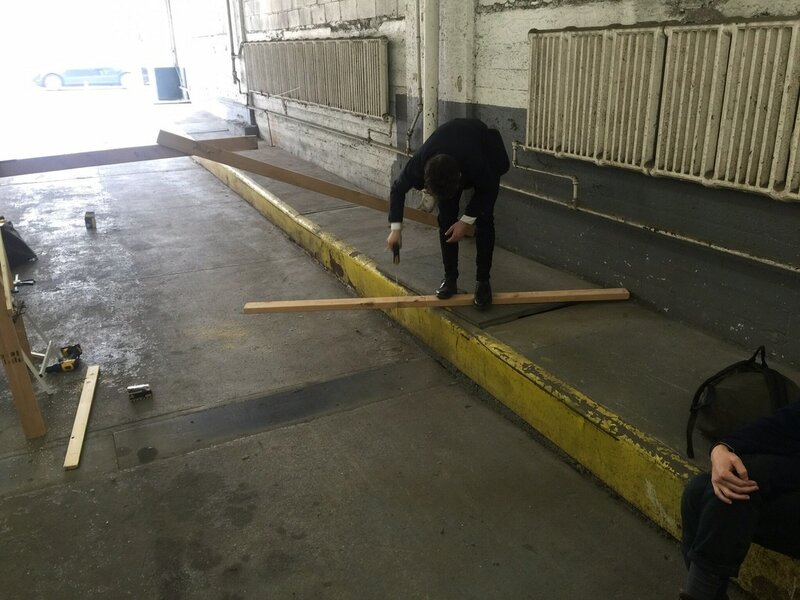 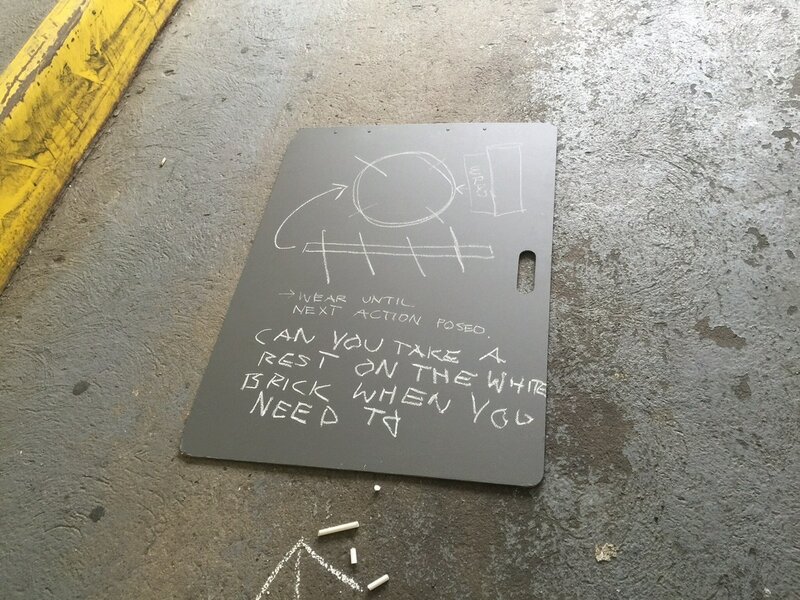 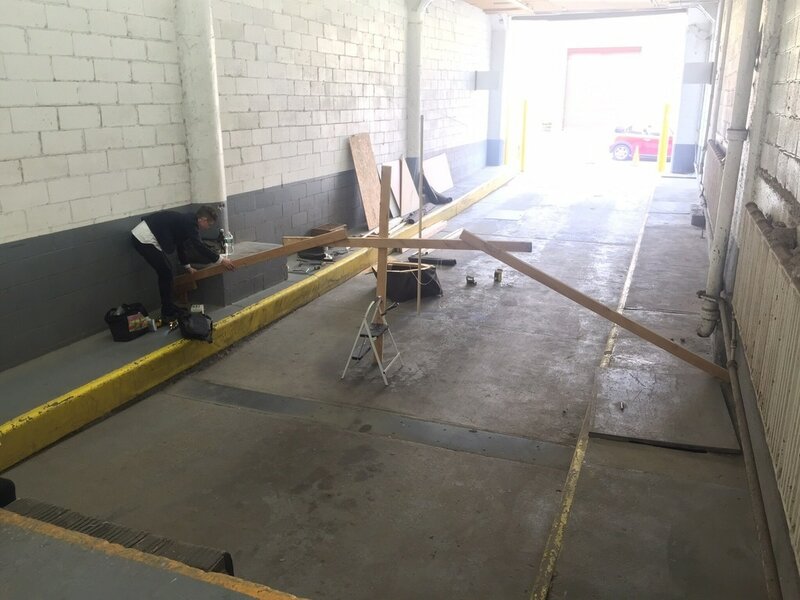 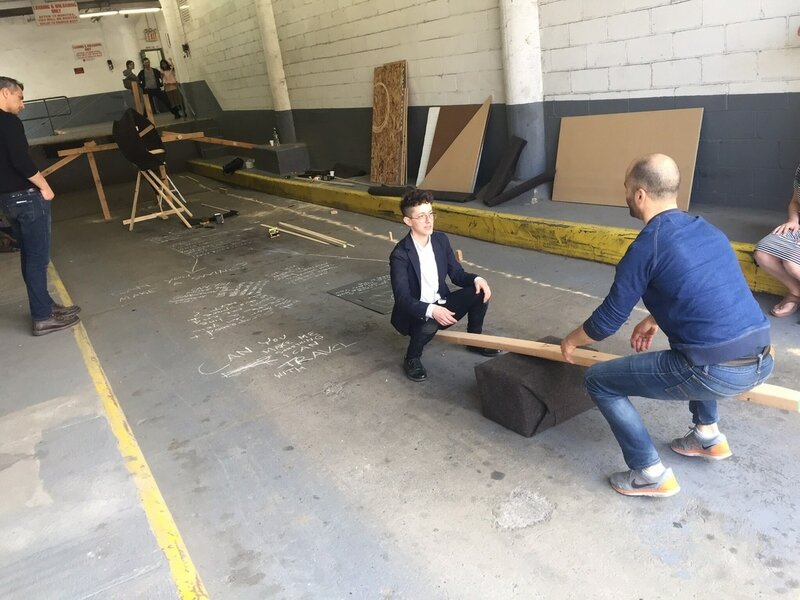 Participants were invited to give me tasks using building materials and hand-tools, to interact with the architecture of the space (in this case a loading dock in Long Island City). 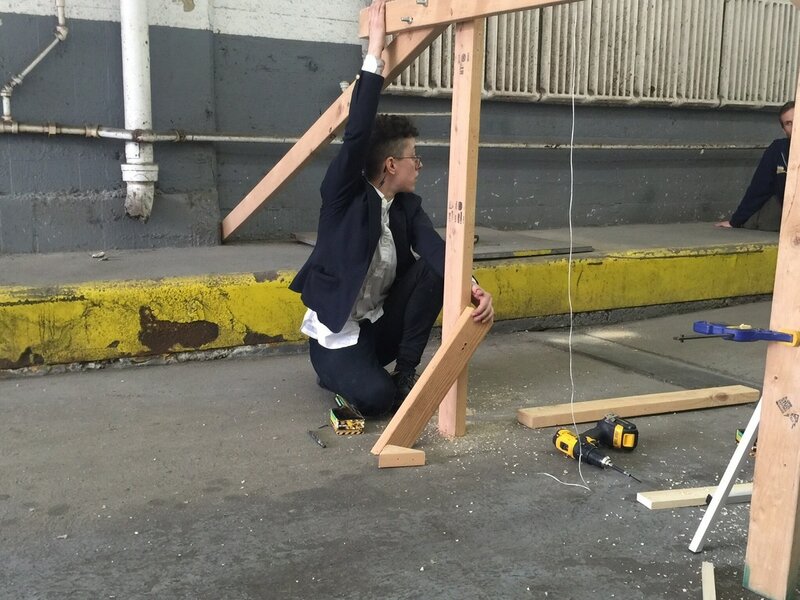 Performed as part of Dilemmas/Derivatively, curated by Leili Huzaibah at LIC Arts Open.